Here is another yummy treat for the whole family. 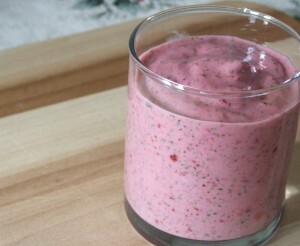 Made of frozen fruits and vegetables with kefir. In a food processor, pour the kefir first then put the other ingredients.